Many of you have already heard, but over the weekend, Justin DeChantal, 24-year-old son of Sheila from BookJourney, was killed in a car accident. In response, a group of bloggers got together, led by Jenn from The Picky Girl, to start a GoFundMe to raise money to donate a bench in Justin's honor at Sheila's library. She's very active at her library and has worked for a long time to get a memorial bench project off the ground, and now Justin's will be the first. 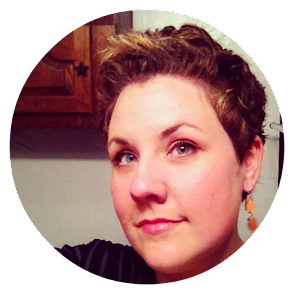 Sheila is such a positive force in the book blogging community as the host of It's Monday! What Are You Reading? and other events. She's been a great help to us at the Readathon over the years, and she's just a wonderful person and friend to all she meets. I've long enjoyed reading about Sheila's family and seeing her photos on Facebook, and my heart just breaks for her. While the GoFundMe has already surpassed its goal of $800, any funds over that amount will still go to benefit the Brainerd Public Library. I'm constantly amazed by the goodness in the book blogging community, and I just have to thank everyone who donated yesterday. It blew me away that you all raised the goal in just a few hours and the giving and outpouring of support for Sheila has continued. Spread the word with the #SupportSheila hashtag. This was such a shock to hear about earlier in the week. I hadn't seen anything about the fundraiser but am so happy to be able to support it. Thanks for sharing the details Andi! I missed this yesterday so thanks so much for posting it. I'm heartbroken for her and can't imagine what she's going through. The book blogging community is just awesome and always there to lend a hand with advice, reviews, and even commiseration. I hadn't heard of this fundraiser but I am so proud of the folks who are making this a reality in Justin's honor. I saw Jenn's post on this and it's heartbreaking to hear about what happened to Sheila's family. This is a lovely remembrance for her son. This is such a wonderful gift from the blogging community! Sheila is a blogger I haven't gotten to know, but I saw a flurry of comments on Facebook by friends of friends and popped over to read her post about Justin. My heart goes out to her and her family! I know all too well what they are experiencing right now (and in the coming days and months). I'll keep them all in my thoughts and prayers. Thanks for sharing this, Andi.